The Assyrians of today are the indigenous, Aramaic-speaking descendants of the ancient Assyrian people. 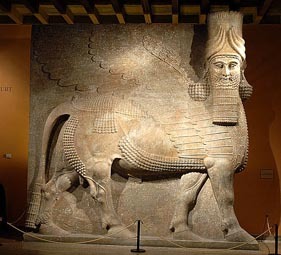 They are known to be one of the earliest civilizations emerging from the Fertile Crescent, present-day Iraq. With a history spanning over 6760 years, the Assyrians have brought forth many great contributions to mankind: from the first monotheistic religion, to the first written language; from the first set of laws, to the first achievements in architecture and fine arts; from the first foundation of math to the first foundation of the sciences. This list only goes on and on, for indeed, the Assyrians have brought forth many fine achievements -- yet, how are they repaid today? Today they are victims of an ongoing Silent Genocide, and yet, the world, to which Assyrians have given so much, has presently shut its eyes and turned its back against their cries.